Often times an enclosure needs to be customized for a client’s need, these modifications vary greatly from client needs to needs and our customization services go beyond what you might expect; with in-house CNC machining and local silk screening we keep your projects on time and cost effective. Here are a few examples of the services we have provided to help our clients. Henry Ford is famous for his saying …”any color you want, so long as you want black” and for years industrial OEM’s were left with the choice of only wanting gray or using a can of paint themselves. Fibox offers you a spectrum of colors to either emphasize or differentiate a specific enclosure or to reinforce your brand identity. Fibox can also offer screen printing right onto the enclosure for logos, warnings, instructions or other messaging. 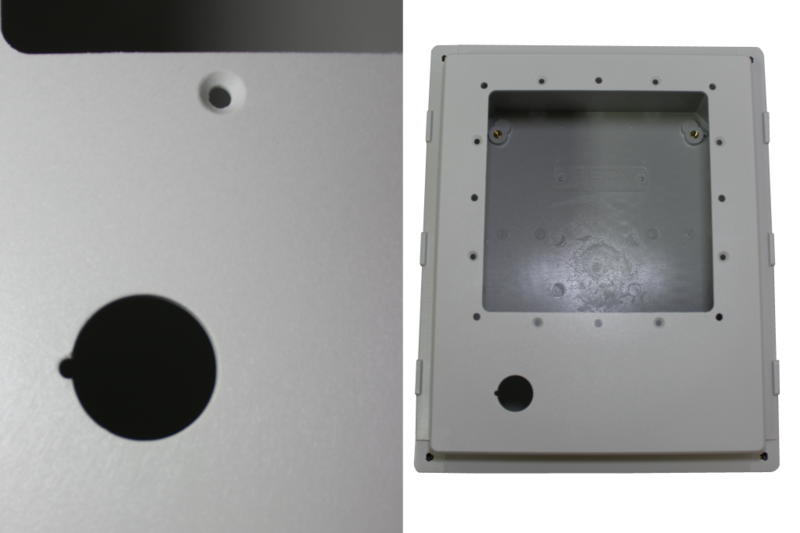 A client needed a series of holes to be drilled around a larger cut out, a fairly common request for display screens, however this project also required some of the holes to be counter sunk. 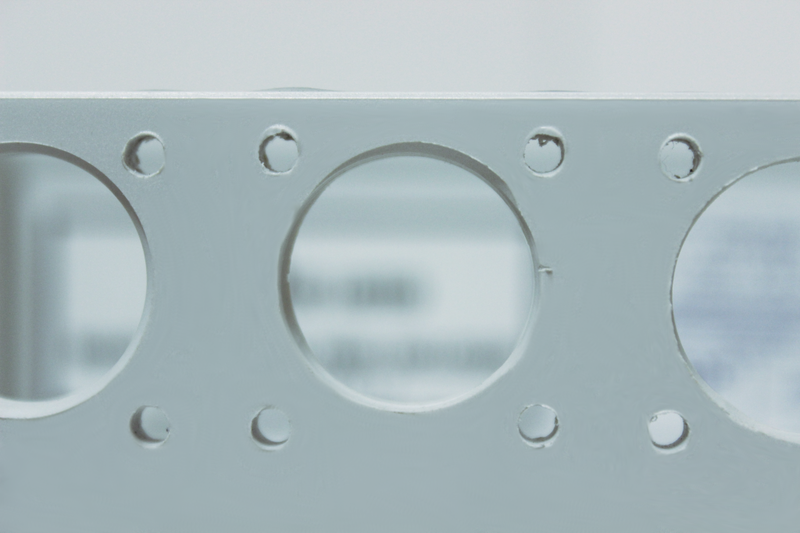 With the precision of CNC machining every piece is accurately drilled and countersunk to client’s needs. DIY or Do It Yet Again? A central cut out at the base of an enclosure is a fairly common need, however in this case the client’s drill took out a little extra which would compromise the enclosure from the elements, our CNC machines made small work of this cut out and left room to spare. In this example a client has a series of cut outs with four smaller cut outs framing the larger. You can imagine the precession needed to ensure each cut is perfectly in line to ensure a secure fit and a tight seal. 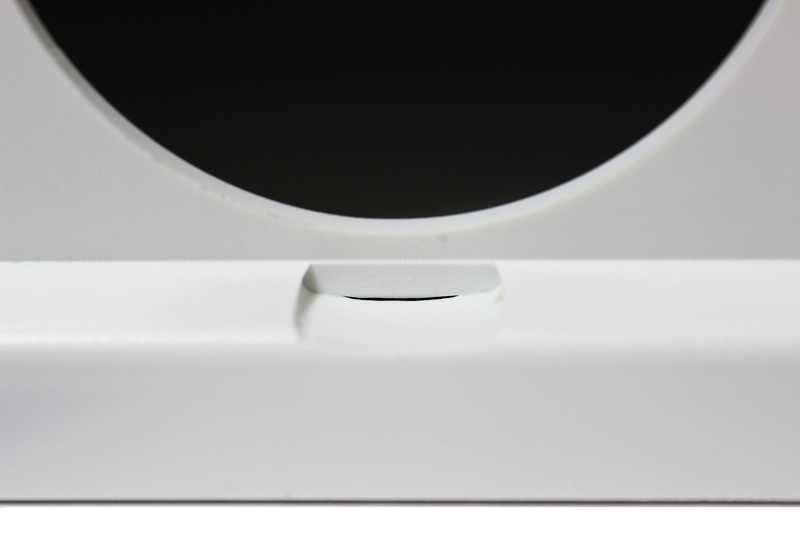 Also the notice the distortion to the gasket, all of this has easilybeen avoided after the client the reordered with our customization service. Usually the costs associated for us to help are in line with what you would spend to hand cut a few dozen or so enclosures (not including the cost of redo’s). If you wish to learn more please contact your Fibox representative to answer any of your questions.